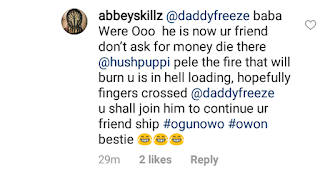 As usual, popular Cool FM OAP, Daddy Freeze always has a word for internet trolls who come at him. 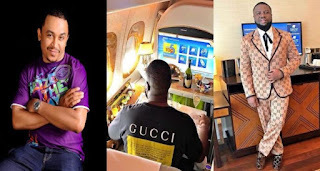 It all started when self-acclaimed flamboyant Gucci Ambassador, Hushpuppi shared a photo of himself lounging in the first class cabin of a private jet and reminisced on the benefits he lacked while growing up. 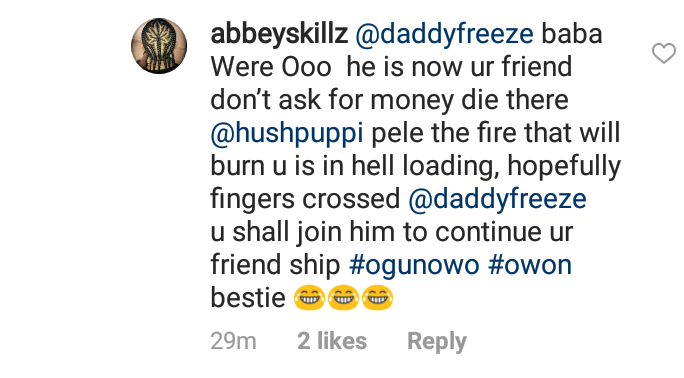 Then Daddy Freeze took to the comment section to write: Hush Baba! Bless u! 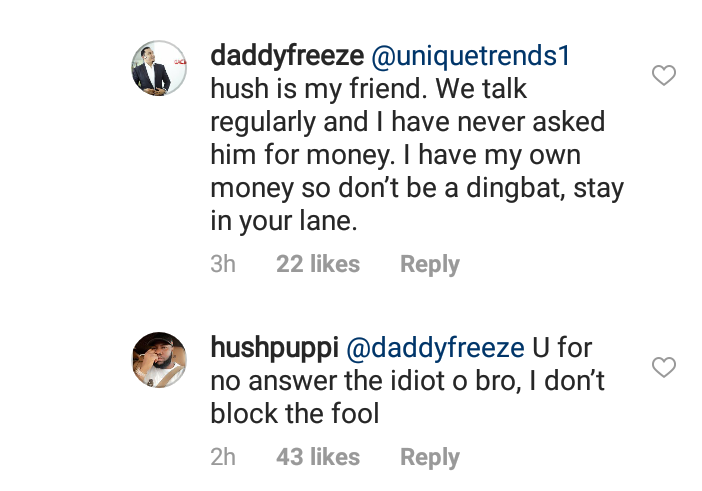 An internet troll then accused the controversial OAP of wanting to slide into Hushpuppi’s DM to beg for money. 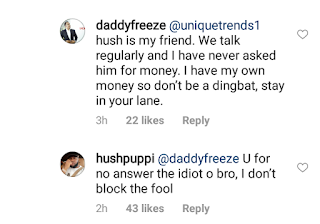 DaddyFreeze replied acknowledging that Hush is his friend and he has never asked him for money because he has his while Hushpuppi disclosed that he has already blocked the fool and Freeze should not have bothered answering the idiot.